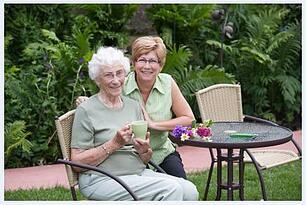 Have You Overesimated the Cost of Home Care? A 2010 survey conducted by the Boomer Project discovered that 49 percent of family caregivers overestimate the cost of non-medical home care by an average of $6.00 per hour. This misconception has led many to avoid considering home care – even though other forms of care may be considerably more expensive. Not only is home care affordable for most families, it is almost always a better financial decision than nursing home care. The current national average cost for nursing home care is $70,000 per year. Keeping seniors at home costs approximately 75 percent less annually, potentially saving seniors thousands of dollars each month. According to an AARP survey, 90 percent of seniors over the age of 65 say they want to live at home for as long as possible. With the advancement of technology – particularly home care systems like ClearCare, helping seniors stay at home longer is much easier than past generations. Unfortunately, when families are faced with the stress of making important decisions for their aging parents, the tendency is to underestimate the costs of nursing homes and overestimate the costs of in-home care – leading to poor decisions and sub-standard care. Experts agree that families should do their homework carefully, researching care options, home care systems, and home care software. Modern technology has helped create an effective care solution for seniors that want to stay at home, but who have no family to provide sufficient care. Home care systems like ClearCare allow the elderly to maintain their independence while staying safe in their homes. Reliable home care software gives family members the opportunity to “see” what goes on in their loved one’s home, without physically being there. ClearCare’s web-based home care software can be accessed through a computer or any mobile device, such as iPad or a smartphone. Family members can have peace of mind knowing their loved one is being given his medicine on time, fed appropriate meals, and that any other essential daily tasks are being completed as scheduled. A study conducted by Home Instead Senior Care reported that 73 percent of seniors who receive home care believed it was a good value for the money. With the help of home care systems and home care software such as ClearCare provides, this statistic could be even higher. More seniors could benefit from in-home care, if they knew how modest the costs really were. Home care agencies would do well to promote affordable services, as well as offer the benefits of home care systems like ClearCare. Utilizing home care software will not only bring in more business, but satisfy the needs of more seniors and their families.